Massage therapy can help people feel so much better, restore health and vitality, relieve pain, aid relaxation, hinder stress related conditions, and so much more. It is an amazing therapy which Janine is very passionate about. Janine offers her Clients a comprehensive and thorough therapy that she can be confident of the benefits and cautions to each individual. Janine takes real time to communicate with her Clients before a therapy to understand their problems and identify ways in which massage and aromatherapy may help them. Inspired by her love of essential oils and natural therapies of many years Janine can help you to unwind and feel revitalised. Regular massage can also help relieve stress, insomnia, fibromyalgia, gastrointestinal disorders, depression, muscle tension and those aches and pains often associated with anxiety or muscle strain as well as general relaxation. Janine cares about the ingredients used in her treatments. 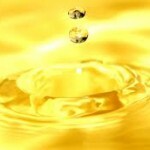 Organic base oils and the essential oils are sourced from a UK supplier and are of the purest quality. She has total autonomy over the ingredients used and therefore selects only the highest grade pure essential oils and massage mediums. 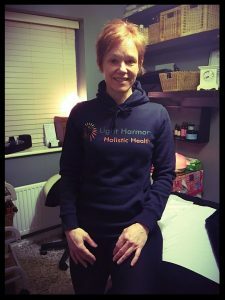 Therapeutic massage therapy is provided for women in the dedicated therapy room in Lawley Village (Central Telford) where a tranquil, salon environment has been created to encourage total relaxation. Do contact Janine Kitson to book an appointment, or if you have any questions at all.